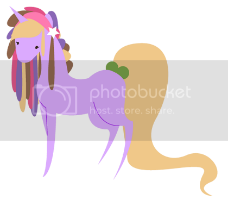 Posted: 0 Post subject: Looking for intentionally BAD pony art for my new Tumblr! 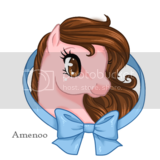 My name is Hipster Derpy, and I'm still fairly new here to the forum. I've been participating in AmberMarie's monthly ATC swaps. I accepted a challenge on New Year's Eve to create a tumblr blog that's specifically for what us artists may view as really bad pony art. The basic idea is that I would create pony pics (all gens) using a Microsoft Paint clone for the Mac, and then post them. The theory is that the art will be SO bad that they will in, in fact, be viewed as good. I've been using both a track pad and a mouse for these pics. But, I need MORE art!!! I've already gotten a really nice (and pretty awful) pic of Pinkie Pie from Miss_tuneful, and I LOVE it! I'm wondering if any of the artists and pony fans here at the Forum would be interested in taking a few minutes and come up with something pretty bad for this tumblr? Its FUN to make bad art, seriously!! I ... couldn't stop giggling for a good five minutes solid. I NEED TO DO THIS. Let me do this. HOLD PLZ. THAT applejack!!! Posted it ont he tumblr page, thank you! Lol. I have to submit some art. It will be with trackpad so awesomely awful.